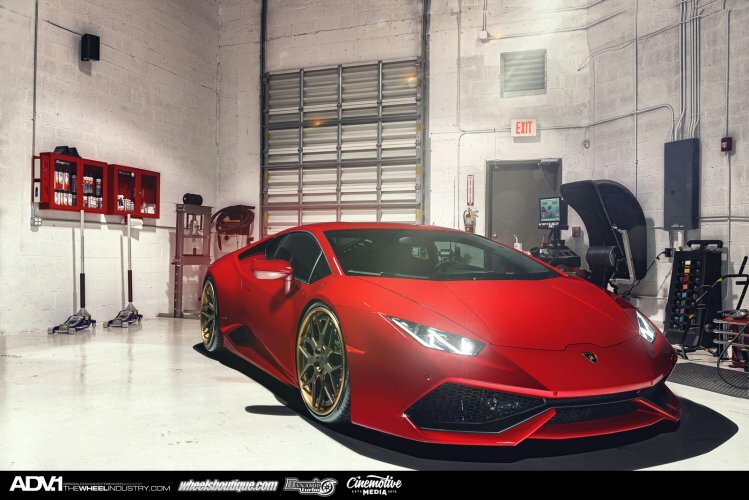 Surprisingly enough one of the more popular colors for the Lamborghini Huracan happens to be a red you would be more likely to see on another Italian supercar. 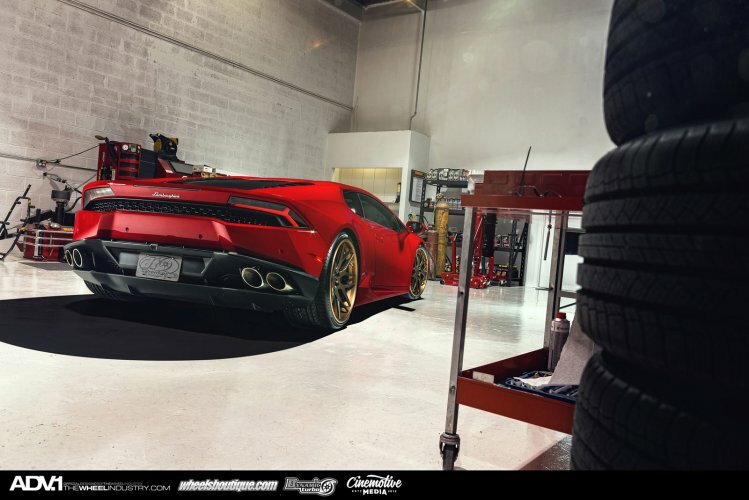 Lamborghini’s Rosso Red as shown on this LP 610-4 is a very deep and luscious shade, and it looks great on the latest bull from the manufacturer. 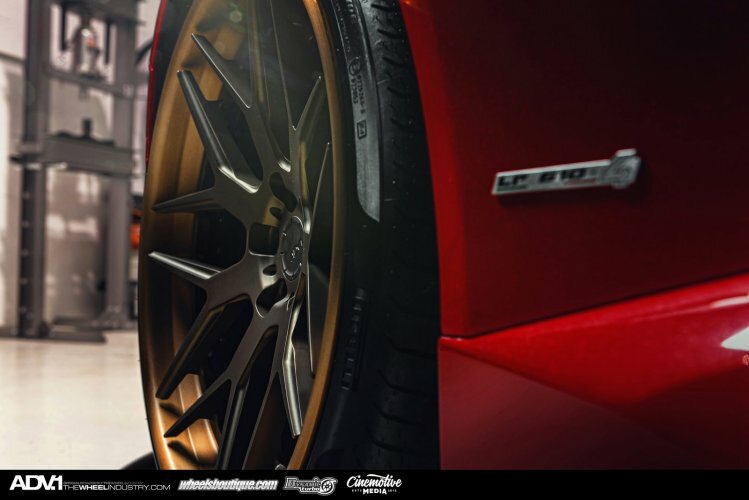 Add to that a set of ADV.1 Wheels, and you have a package that could rival an Italian supermodel for the most pairs of gawking eyes when on a trip through the public. 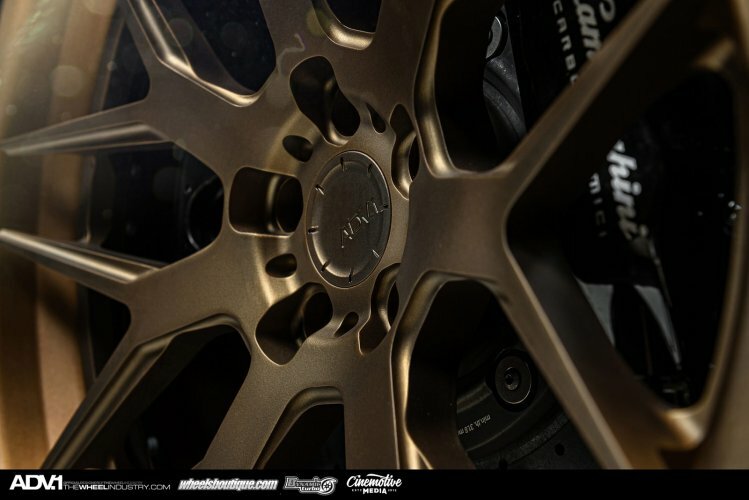 The ADV.1 Wheels chosen for this bull are the just released for SEMA ADV7 Competition Spec/CS series in a two tone bronze look that clashes with the Rosso Red in a magnificent way. 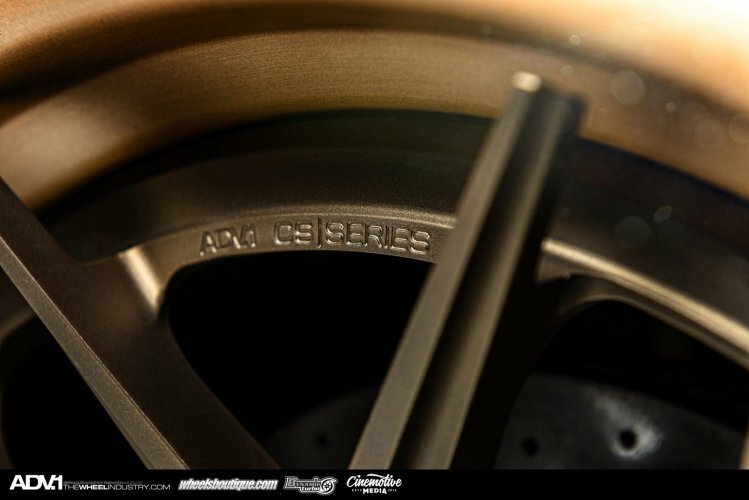 The spokes of the ADV7 are finished in matte bronze while the lip is finished in a brighter shade with almost a hint of gold in the hue. Sizes picked are 20x9.5 up front and 21x13 out back, both wrapped in Pirelli rubber. 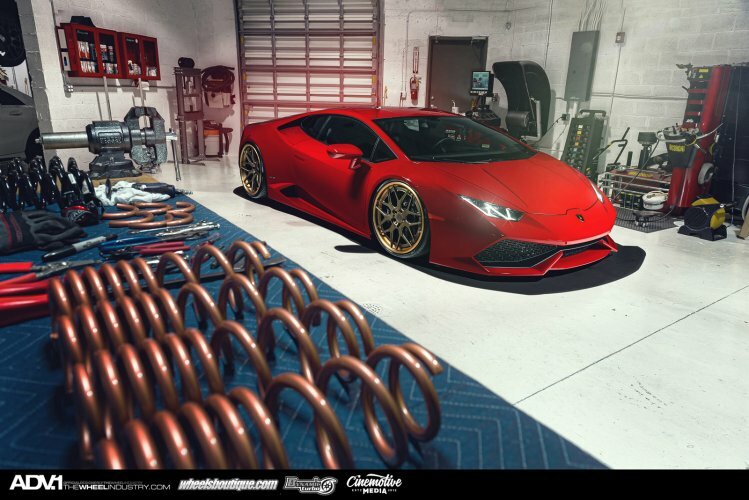 The owner of this Huracan had better play it cautious on the street, so they do not catch the eyes of Johnny Law. Remember the latest superfighter from Lamborghini features a 5.2-liter V10 putting out over 600hp tempting the pilot at every stop light. Who could blame them with a car that hits sixty miles per hour in less than 2.5 seconds and a quarter mile in 10.4 topping out at 135mph. That and the bright red paint and beautiful set of ADV.1 wheels will ensure eyes and ears are on it everywhere it goes.